Waterway Guide content is now available as a chart overlay within the SEAiq app. Waterway Guide utilizes their extensive user base, large network of on-the-water editors, and full-time staff to provide up-to-date and accurate content for safe and informed travel along the waterways. 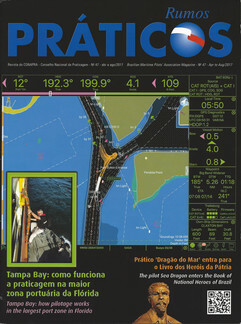 Marinas, anchorages, navigation alerts, bridges and locks for the Eastern U.S., Canada, Bahamas, and Cuba are now available for offline access. We are informed on May 23, 2018 Garmin will make incompatible changes to the ActiveCaptain server. After this date, the current ActiveCaptain data will continue to work in SEAiq. However, no further updates will be available for download. We recommend users sync offline data on their devices before the May 23 cut-off. We are considering updating SEAiq support for ActiveCaptain but do not have definite plans yet. Read our datasheet or contact us for more details. SEAiq is widely adopted in both the professional and recreational marine markets. Our SDK allows simple creation of powerful marine applications and supports all major platforms and form factors, from 3in/8cm smart phones to 30in/80cm+ desktop displays. Supports all major chart formats, including S-57, S-63, iENC, and BSB/KAP. All charts are rendered by the SEAiq high performance graphics engine. SEAiq Pilot displays chart overlays in a variety of formats, including GRIB files, SHAPE files, Autocad DXF files, and various forms of bathymetric ENCs. Automatic chart download/update for NOAA/USACoE (USA), Admiralty (UKHO), PRIMAR, and ChartWorld. Supports both touch and pointer based operation. Our SDK includes source code for sample applications for all platform. The applications include all features in the commercially available SEAiq products and are readily customizable through XML files or extended by editing source code. Our SDK provides high performance graphics with impressive redraw times with IHO S-52 support. It utilizes proprietary graphics shader programs that are downloaded directly to graphics processing units (GPU). This means complex rendering is done directly by the GPU. Rendering uses native Direct3D on Windows; other platforms use either OpenGLES2 or OpenGL4+. Routes & waypoints: unlimited waypoints and routes, visual per-segment cross-track-distance (XTD), turning radius (smooth turns), speed limits, meeting points, and restricted areas. AIS: complete AIS implementation including true-scale vessel display, multiple AIS data connections (WiFi, cellular, Bluetooth), graphical CPA, aids-to-navigation, environmental stations and more. Tides and Currents: support for variety of tides and currents, including predictions using integrated harmonics engine, online real-time sensor, and downloadable tide/current predictions. Support for automatic station tracking and dynamic chart update.